Nail polishing is all about matching and confidence. The color of the polish must represent what kind of emotion you want to convey to the public at a particular moment. Of course, wearing polished nails come with confidence, either it acts like a booster of such or the other way it around. Ever since nail polishing became a “thing” for women, the color red was already a favorite choice. Red usually signifies deep and serious emotions such as aggressiveness, infatuation, and seduction. 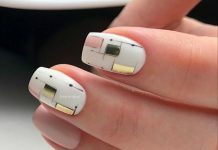 With the innovation in nail art, painting the nails red is no longer enough to attract the public, it now needs a new “touch”. 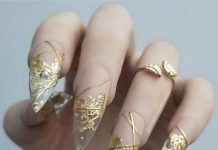 Nail artists have found a way to accentuate the art by adding glittered gold designs on top of the red polish. The add-on gold glitter may be designed in any way, usually what the bearer wants to have. Some of the examples we found on the web are red polish with gold lines, gold tips, or patterned gold waves. This is one of the instances that the beauty of one color is amplified by another and vice versa. 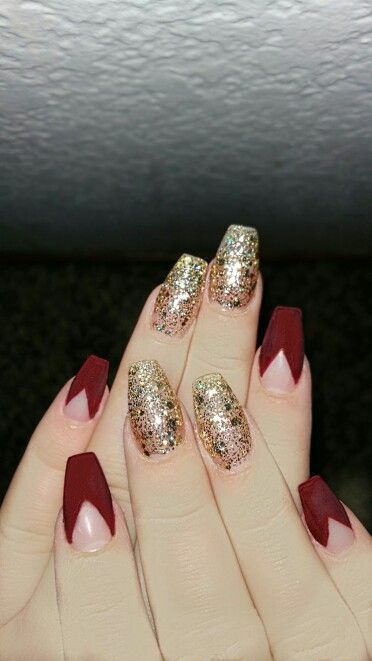 Red and gold definitely are a match made in heaven, or at least by the nail artists themselves. Check out the samples below, the designs are simple enough to replicate yet the effect of it to your personality is truly a sophistication of beauty. 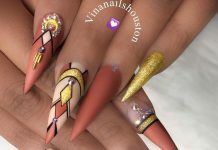 Here are the 35 Attractive Red And Gold Nails For Everyone! On the other hand, you might want to take a look at our 40 Red Wedding Nail Art Designs collection for further bloody red gorgeous nails!